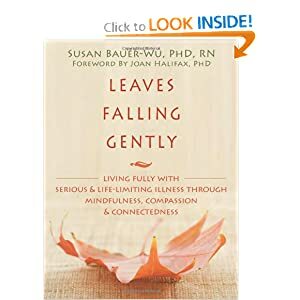 Leaves Falling Gently -Living fully with serious & life-limiting illness through mindfulness, compassion, & connectedness by Susan Bauer-Wu is a kind and inviting little book that makes facing our chronic or acute life-threatening illness easier to face. Bauer-Wu, an associate professor of nursing at Emory University, researches the effects of chronic stress from debilitating illness and studies the usefulness of mindfulness practices in alleviating the suffering caused by chronic and life-threatening illness. 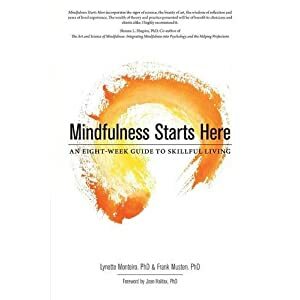 The book opens with a clear and concise definition of mindfulness. It is “our capacity to intentionally bring awareness to present-moment experience with an attitude of openness and curiosity.” It is “a way of being and relating to ourselves, our circumstances, one another, and the world around us.” With helpful and easy-to-do exercises, she instructs initial practices to stop, attend, and shift our stance to what is happening in this moment. Chronic illnesses such as fibromyalgia, chronic fatigue, myalgic encephalomyelitis (ME) and other auto-immune diseases result in significant difficulties with sustaining attention, retaining information, and activating intentions to practice. The chapters in this book are written in a way that makes it possible to take in the information in bite-size pieces. The practices are laid out in a way that allows for the reader’s potentially fluctuating level of energy and engagement. The chapter on “Unhelpful thoughts” was extremely useful in setting out the ways in which our mind plays tricks on us, leading us down unproductive paths and spiraling negative mood states. 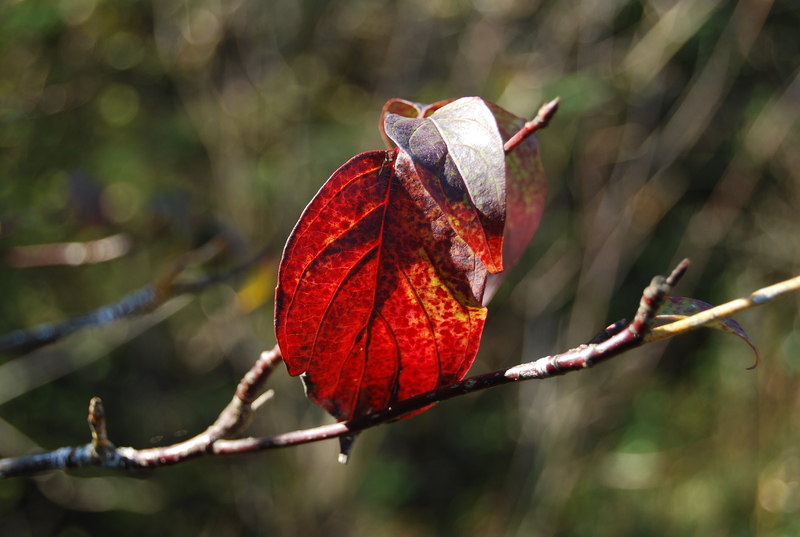 Bauer-Wu digs deep into the pract ice of noticing and accepting change. As much as chronic illness can strike fear in our hearts, life-threatening illnesses can create a whirling storm of anxiety and emotional debilitation. She doesn’t shy away from the reality that diseases progress and, in seeing our life as foreshortened, dreams break apart and hardships occur. The practices on compassion include the practice of generosity which opens the door to deep self-care. And, as we dissolve our resistance to receiving compassion and generosity from others, we begin to experience a wonderful connection with the world and the life we have. As someone who practices with the ebb and flow of fibromyalgia, I found the book personally relevant, reminding me of the various practices. More important, Bauer-Wu shines a new light, brings a new perspective to these practices; her approach allows me to see them in a different configuration which opens to curiosity and gratitude for the gift. A YouTube video from Emory University is here.